There is writing & there is Gibran’s writing, mystic, poetic & mesmerizing. When I read book sometimes I drop it in the beginning, sometimes I throw it in the midst & sometimes I finish it bored. But, my favorite is the book that I swallow in a blink & one breath, among the later one, books written by a Lebanese American writer Kahlil Gibran (1883-1931) are lined up in the front. When I meet Gibran via his books, I submerged deep in emotion & sentiment. I feel as of, I personally meet with the characters, it may be God or the Devil. Sometimes Gibran strangulate & leave me breathless. If Gibran lives before 2000 years, I bet he was one of the writers of the Gospels or some Chapters in the Quran. I am not waging in vain, rather with a strong backup like his masterpiece The Prophet & Jesus the Son of Man. I feel same here, if I lost all my masks I will roar naked in search of it & I will evolve from ‘man-ness’ to madness. My mask can be love or Compassion, But, I am not sure whether it includes Freedom. And I have found both freedom of loneliness and the safety from being understood, for those who understand us enslave something in us. But let me not be too proud of my safety. Even a Thief in a jail is safe from another thief. I envy The Madman’s privilege of safety. LOVE has no other desire but to fulfill itself. But if you love and must needs have desires, let these be your desires: To melt and be like a running brook that sings its melody to the night. To know the pain of too much tenderness. To be wounded by your own understanding of love; And to bleed willingly and joyfully. To wake at dawn with a winged heart and give thanks for another day of loving; To rest at the noon hour and meditate love’s ecstasy; To return home at eventide with gratitude. 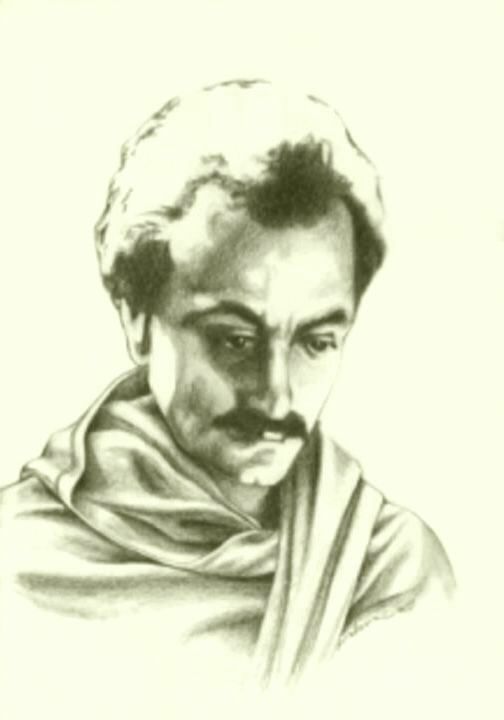 To share my Love experience with Gibran, herein below, I attach some of his works, CHEERS ! I love your blog.It is informative,inspiring and entertaining.It is nice to see an Ethiopian blog focusing on philosophy,books and literature.The addition of books at the end of your each post is admirable and praiseworthy.I hope you will continue in this path for years to come and i will visit your blog whenever you post new article.THANK YOU!! !